During the hearing of a rent control matter, Senior Counsel Vikas Singh has made scathing allegations against a former judge.As per the reports of Times of India, Mr. Singh alleged that just a month before his retirement, a former judge delivered a verdict on February 11 in a case involving the question that was raised unsuccessfully before various judicial forums by his sister.Singh alleged that the decision provided a helping hand to the ex-judge's sister, who cited the SC judgment to get the required relief. Mr Singh claimed that he was making allegations supported by documentary evidence. 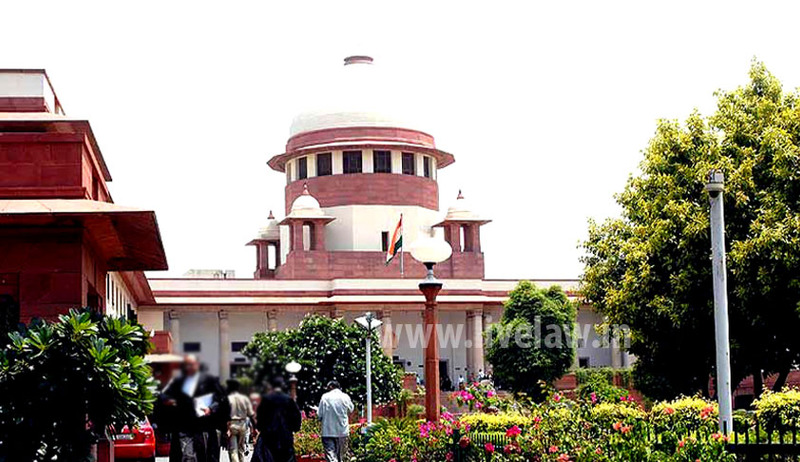 The unsavory episode unfolded before a bench of Justices S J Mukhopadhaya and N V Ramana, which refused to extent similar relief to the one rendered by the February 11 judgment. Times of India, has covered the story in detail and has quoted the judges’ reaction. According to the reports, the judges have commented “The judges will retire. But the institution and the lawyers will remain. The institution's eminence and public trust is in the hands of the lawyers." Speaking to Live Law , Mr. Vikas Singh confirmed that he will stand by allegations he made. “Justice Mukhopadhaya said he feared none when it came to court discipline and rendering justice. "In my 21-year tenure as a judge, I have met everyone. But no one has ever dared to purchase me. I kept my doors open to everyone to see who can dare purchase me,"
"During my tenure as a judge in high court, I had initiated contempt proceedings against my uncle. Even my father could not say anything to me. My uncle had to tender unconditional apology,"
"If you want to scandalize the judge, we don't bother. We have developed thick skin. Every day we read something or the other in the newspapers. "It is torture to be a judge. One is better off on the other side, as a lawyer. We find it difficult to endure this torture. That is why recently six persons from Gujarat High Court refused to become judges. Clever persons are those who choose to remain lawyers. At least there is no retirement."